You are here:HomeConcerts 2019 Concert Line Up! 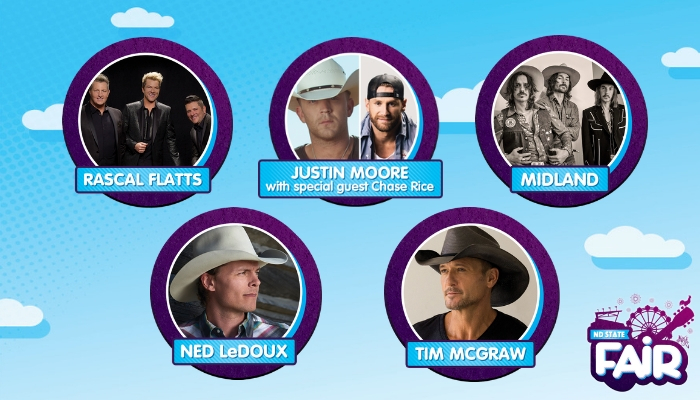 The wait is over… our 2019 Concert Line Up for the North Dakota State Fair is here! You’ve known Tim McGraw and Rascal Flatts are performing at this year’s Fair, but who else are joining them in rocking our Grandstand this summer? Check out the artists and dates below! The Grandstand Showpass is $110 for both reserved seating and standing room. This includes 5 artists, the Enduro Races on July 22nd and the Outlaw Enduro Races on July 23rd. Tickets for these shows cannot be purchased separately. 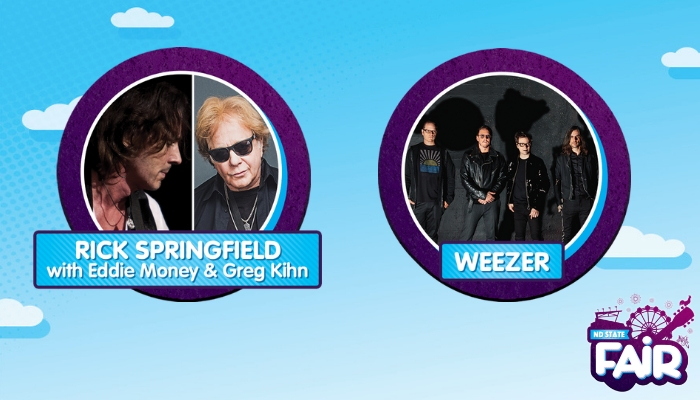 Rick Springfield Presents Best in Show with Eddie Money & Greg Kihn tickets are $25 and tickets to Weezer are $50. Make sure to mark your calendars on April 10th for ticket sales so you don’t miss out on these amazing concerts! Who else can’t wait for summer now? !